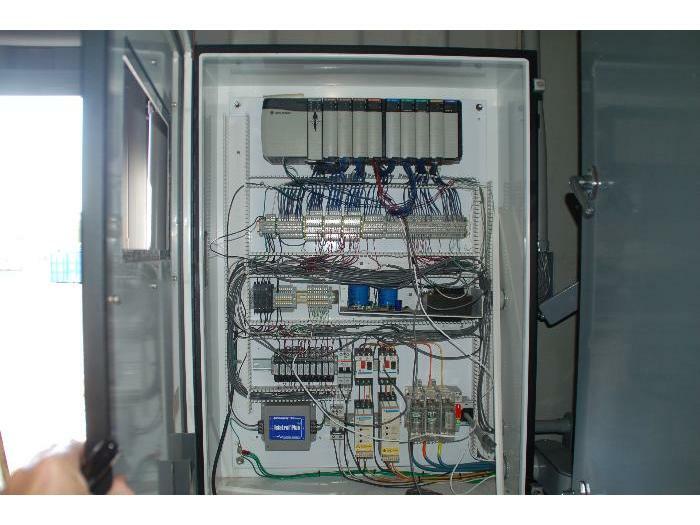 Beta Control Systems, Inc. - . 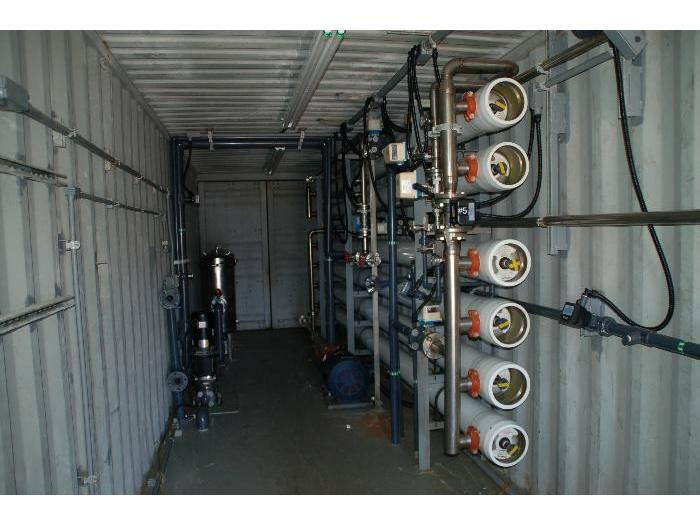 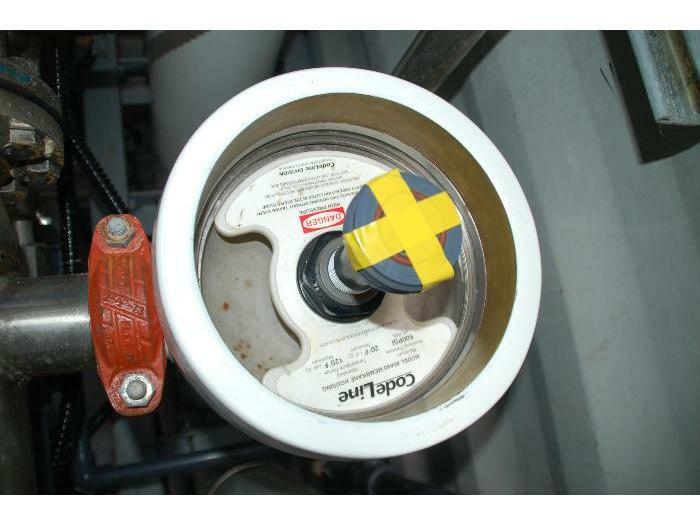 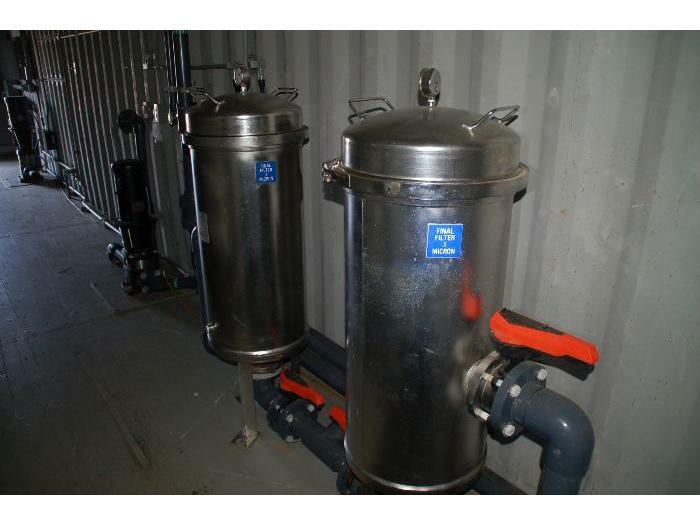 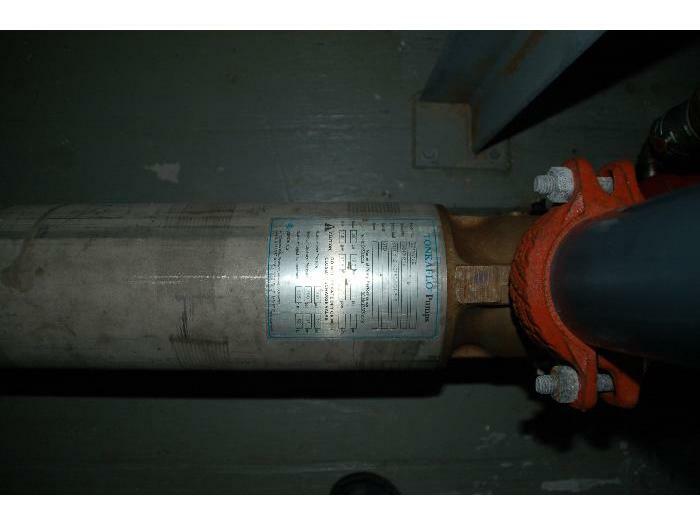 This containerized brackish reverse osmosis system includes: two Cuno 21ZM3 .1 micron cartridge filter housings; six CodeLIne 80A60-6, 6M, 600 psi, FRP, membrane housings arranged in a 4:2 array; Tonkaflo SS12512E horizontal multi-stage pump controlled by a VFD. 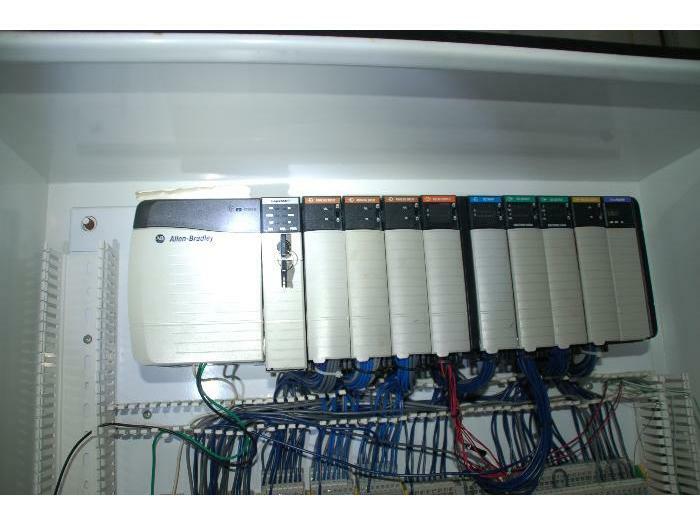 The control panel includes an Allen-Bradley Logix5561 PLC but does not include an HMI display. 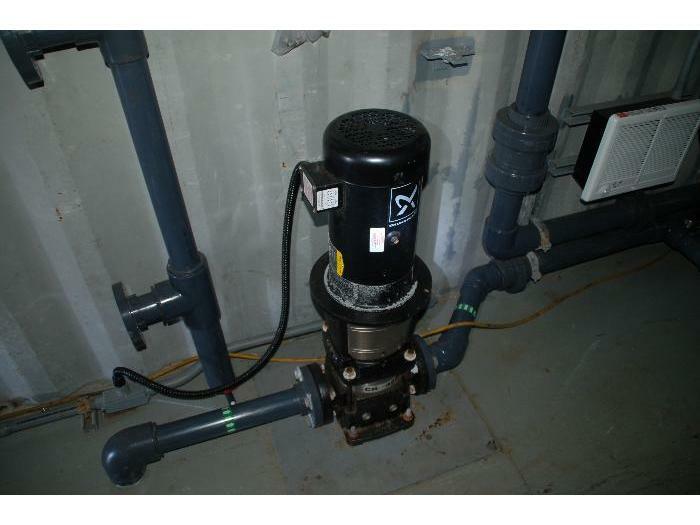 There are also two forwarding pumps: one 5 HP Grundfos CR32 pre-filtering pump and one 15 HP Grundfos CR45 pre-treatment pump. 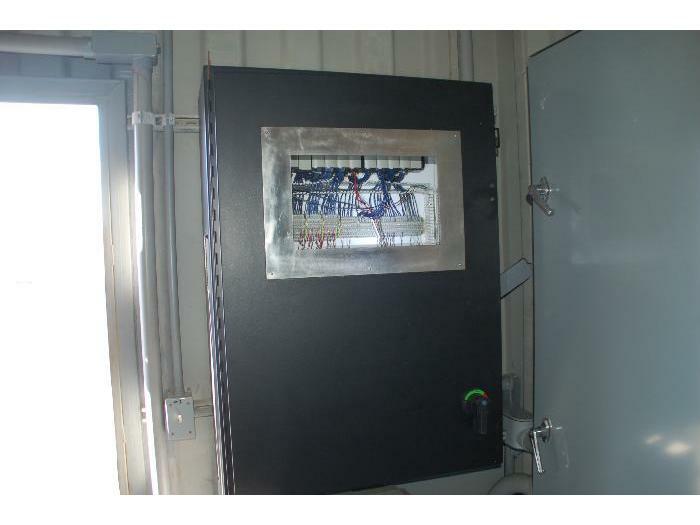 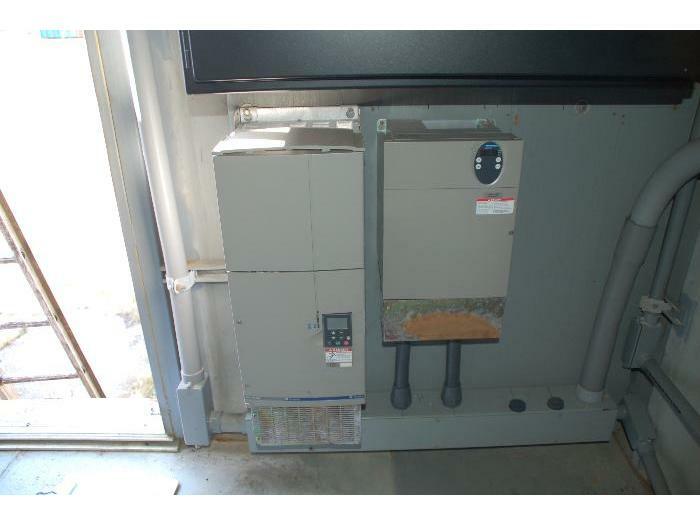 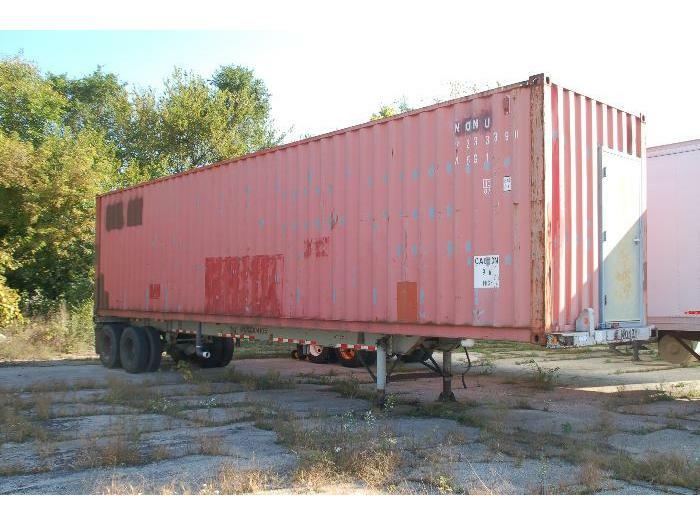 This system is enclosed in a 40' non-insulated container with chassis and internal hookups for feed, product and concentrate as well as electrical connections. 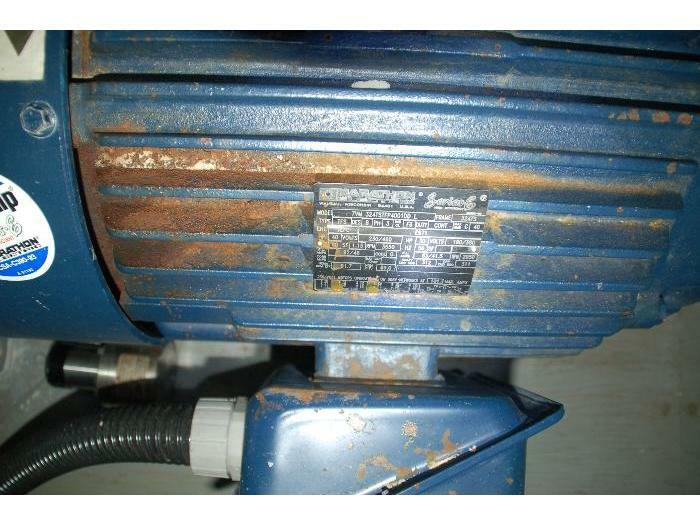 Please note that this system is incomplete and is not in an operational condition. 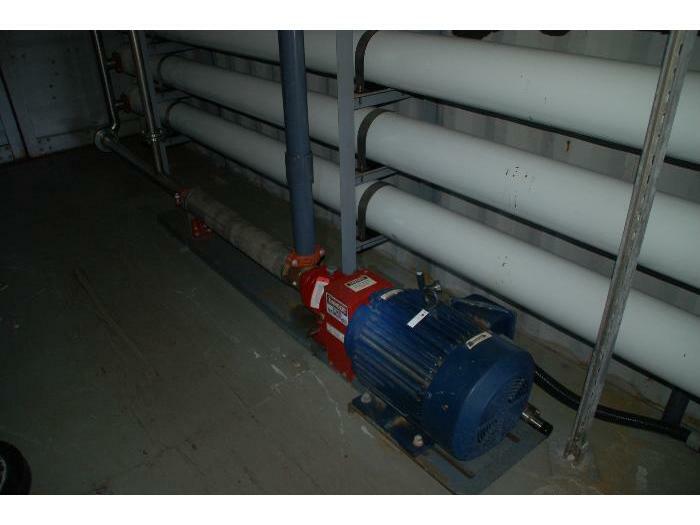 Pump & Motor Specifications: Tonkaflo SS12512E, 60 Hz, 160 gpm, 250 psi, Marathon 7VM 324TSTFP4001DDL dual service motor 60 Hz, 40 HP, 230/460 Volts, 3550 rpm (50 Hz, 30 HP, 190/360 Volts, 2950 rpm), VFD controlled.